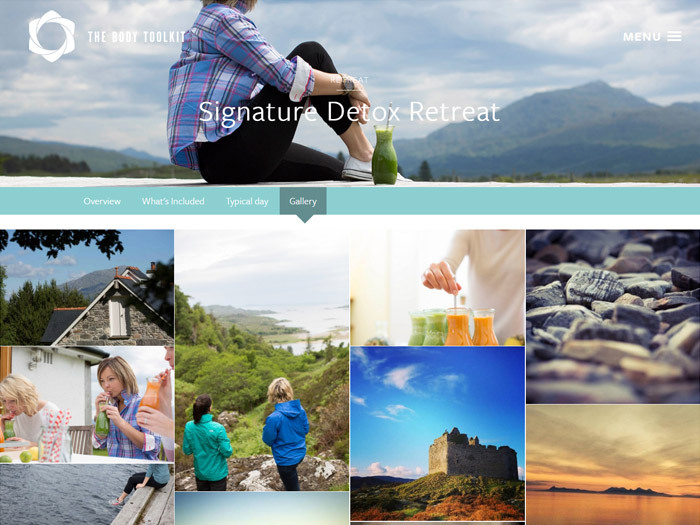 The Body Toolkit is a juice retreat in the west coast of Scotland. 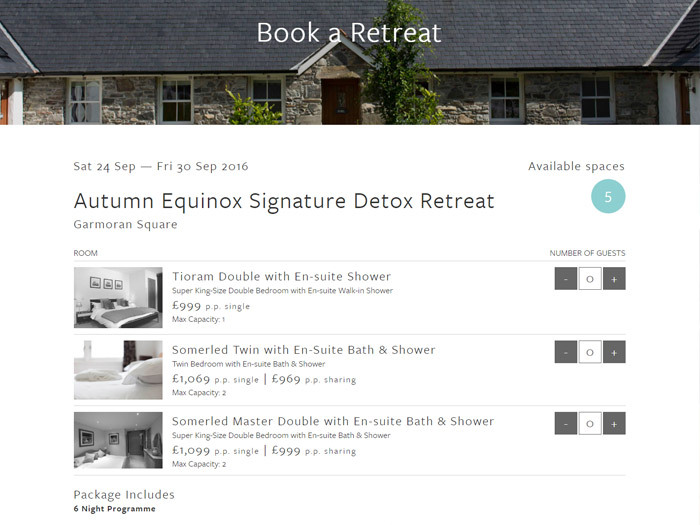 This site was designed to advertise retreat types and allow customers to book and pay online. 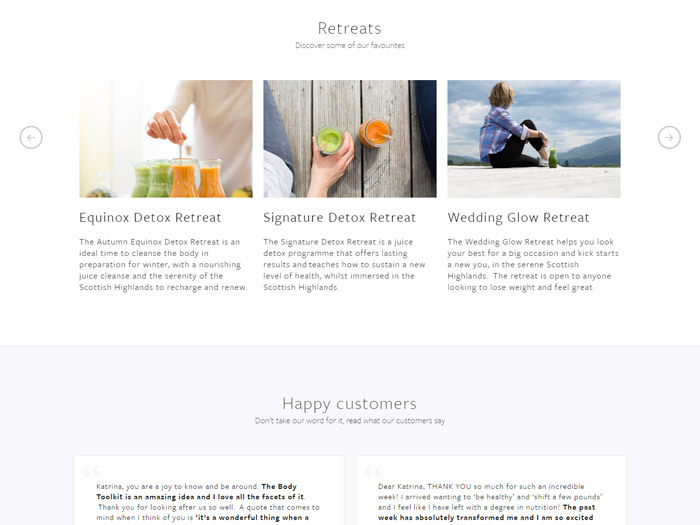 The site makes use of some great photography to showcase what a retreat would be like. My roll was to code the front-end of the site as well as testing and activating the Sagepay payment method while another developer coded the booking system and the room availability. This site has an interesting home page slider that rotates vertically. It has a sticky header as you scroll giving easy access to the menu. It uses masonry for the gallery page which also has a lightbox.